The conflict of religions during the Christianization of the Greco-Roman aristocracy in Late Antiquity is typified by Synesius (ca. A.D. 365/70–414? ), an old-fashioned pagan Neoplatonist who studied under Hypatia at Alexandria, yet who in A.D. 410 became the Christian bishop of Ptolemais in Libya. Before accepting, however, he openly stated his objections to certain Christian dogmas. Was he a Christian or a "baptized Neoplatonist"? The generation of Synesius saw the rapid decline of paganism. Furthermore, the Constantinople he visited (A.D. 399–402) was a Greek-Christian Rome whose elites were classically educated. He returned home an ally of the city's Orthodox Christians. He tried to reconcile Neoplatonism with Christianity, but a study of his works demonstrates that he was only partially successful. Synesius is important for our understanding of the old aristocracy in Late Antiquity. His becoming a bishop completes the picture in which we finally see the ancient world transforming itself into the medieval world. 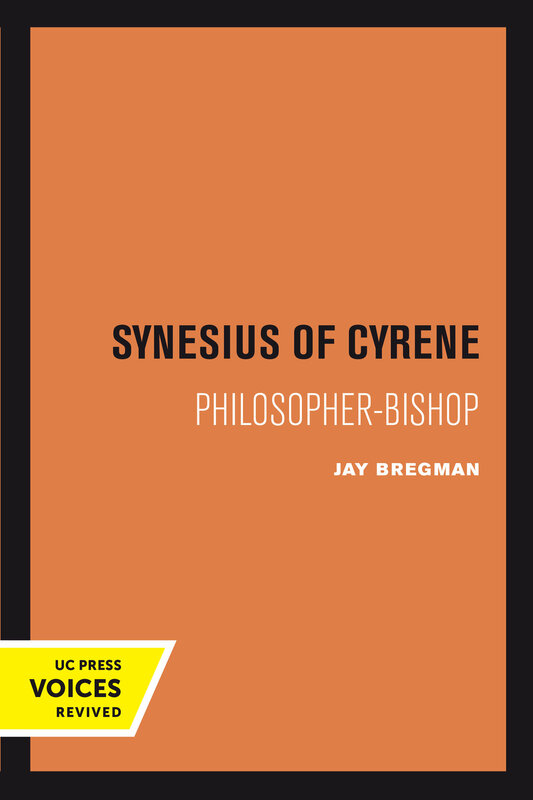 The life of Synesius, one man of Late Antiquity, may be viewed as both the recapitulation and anticipation of all the major themes of Classical and Late Antiquity. This title is part of UC Press's Voices Revived program, which commemorates University of California Press’s mission to seek out and cultivate the brightest minds and give them voice, reach, and impact. Drawing on a backlist dating to 1893, Voices Revived makes high-quality, peer-reviewed scholarship accessible once again using print-on-demand technology. This title was originally published in 1982. Jay Bregman is Professor Emeritus in the Department of History at the University of Maine.